Is It Worth Getting a Pre-Build 4K Video Editing Workstation? Editing video is inarguably one of the most resource-intensive activities that can be performed on a computer. 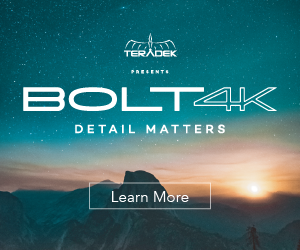 With all the media files, tools and assets that are involved along the way, it’s paramount to have a machine that’s fast enough to process all your footage, while striking a reasonable balance between price and performance. 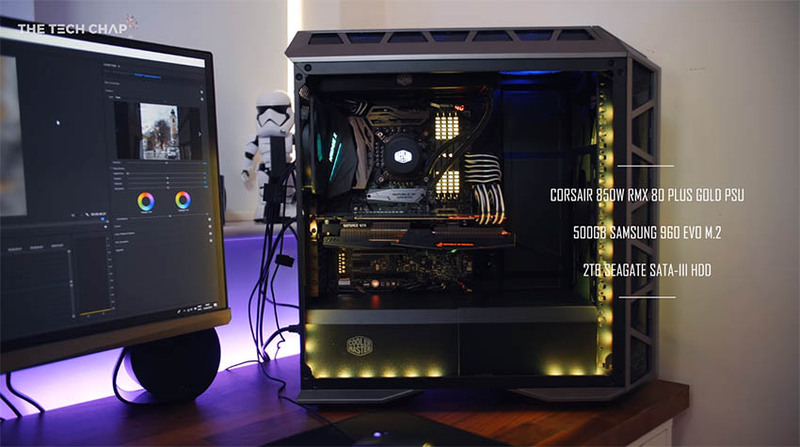 Besides the majority of video editors working on a budget who tend to build custom workstations to suit their specific editing needs and requirements, there are plenty of third-party companies as well who specialize in pre-building those machines from scratch. Even though the idea of buying a premade computer may seem less cost-effective than building your own, Tom Honeyands of The Tech Chap believes that the added cost can be justified. Before going into the debate between pre-built versus custom made, let’s take a look at Honeyands’ system build. The heart of his new computer is powered by an Intel i7-8700K 6-Core Processor installed on an ASUS ROG Maximus X Hero ATX Motherboard. Additionally, the system has 32GB of Corsair Vengence DDR4 RAM with RGB, and an ASUS ROG Strix Geforce GTX 1080 Ti for graphics. For storage, the workstation sports a 500GB Samsung 960 EVO M.2 SSD and a 2TB Seagate SATA-III HDD. The components are powered by a Corsair 850W RMX 80 Plus Gold Power Supply, all housed in a Cooler Master Mastercase H500P. 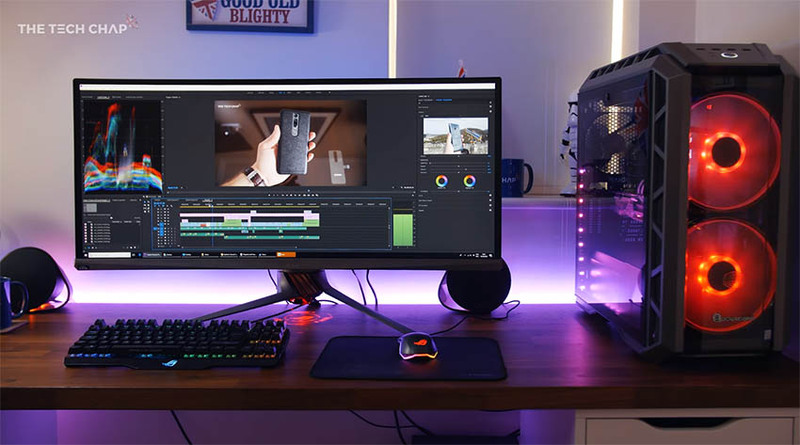 In terms of peripherals, Honeyands opted for ASUS’ line of gaming accessories for his editing system, decking out the build with an ASUS PG348Q ultrawide monitor, featuring G-Synch, 100Hz refresh rate, and an IPS panel for wide viewing angles. His mouse and keyboard are also from ASUS’ ROG line of peripherals, complete with RGB. The exception to his accessories, however, are the G560 Speakers which are made by Logitech, rather than ASUS. Of course, this is not the most powerful 4K video editing workstation you can currently get by any stretch. This is especially true when you consider the fact that some of the money that could’ve gone into component upgrades went into paying the hardware engineers who pre-built Honeyands’ system. Although it is more expensive to have other people assemble your computer, there are numerous advantages to doing so. For starters, purchasing a premade workstation from a third-party gives you warranty and service options. This means that if your own system malfunctions, you could easily send it back to the company and they – with all their technical know-how – will be able to fix your computer for you. Additionally, these premade systems are put together by professionals who know what they’re doing. From proper component installation to neat cable management, it’s highly unlikely that a computer made by another company will show up to your doorstep with any problems. Then again, if issues do arise, at least you’ve got that warranty. Of course, Honeyands’ workstation isn’t the end-all or be-all of video editing systems. Instead, think of his approach to acquiring a video editing computer as an option to consider: to pre-build or not to pre-build. The decision behind that will depend on you – whether or not you have the money or resources to have a system built by a third-party. Either way, make sure to choose a computer that’s tailored towards your specific needs as a creative professional and content creator.